An organization is a special unit of people that are structured and managed to pursue a goal. All the organizations have a management structure and have a relationship with the different activities. They are assigned with some roles and responsibility to carry out certain tasks. As an employee, you are required to know in and out about the organization, so that if anyone asks, you should be able to describe it with good communication. Let’s take an example which will give you an idea on the vocabulary that can be used to describe your organization. Take the below situation. You are going home after office and on the way you meet your college junior. He casually asks you about your work and the organization. Joseph: Hello John. How are you? John: Hello Joseph. I am good. How are you? It’s been so long since we met. Joseph: Thanks, I am also good. Yeah, I am quite busy these days preparing my projects. John: Okay that’s great. How are your studies going on? Joseph: Doing well, what are you doing these days? John: I am working in a XYZ Company. 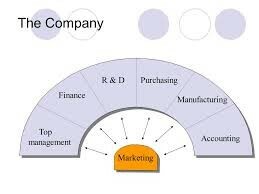 It’s a B2B company, a type of business activity in which companies use the Internet to trade with each other. Joseph: That sounds great. How long have you been working there? John: It has been 1 year since I started working there. Joseph: How is the company? John: It’s a multinational company that has business in several countries. It’s a highly capitalized company. Joseph: That’s really great. How is the result of the company according to your experience? John: It is result-oriented. It always gives good result to the clients. Joseph: And how about the work environment in your company? John: We work in teams and deliver results. Everyone supports each other while working and helps solve problems together. Joseph: Good to hear that you are working in a great environment. I need a small help from you. John: Yes, what is it about? Joseph: I was looking for an internship. So do you happen to know of any vacancy in your company or any reference through which I can apply for internship? John: Actually, I don’t have any idea but I will contact with my HR team and inform you soon as possible. John: Welcome, I need to go now, See you soon. Joseph: It was great talking to you. Bye! That's how you have to describe your company. To describe in the right vocabulary is not easy and we need to be good in our communication skills. It is important that you read books and practice your communication skills. 1. How to describe a painting? 2. How to talk/write with finesse in a big company? 3. How to deal with an emergency situation in School? 4. How to describe an interesting neighbor?